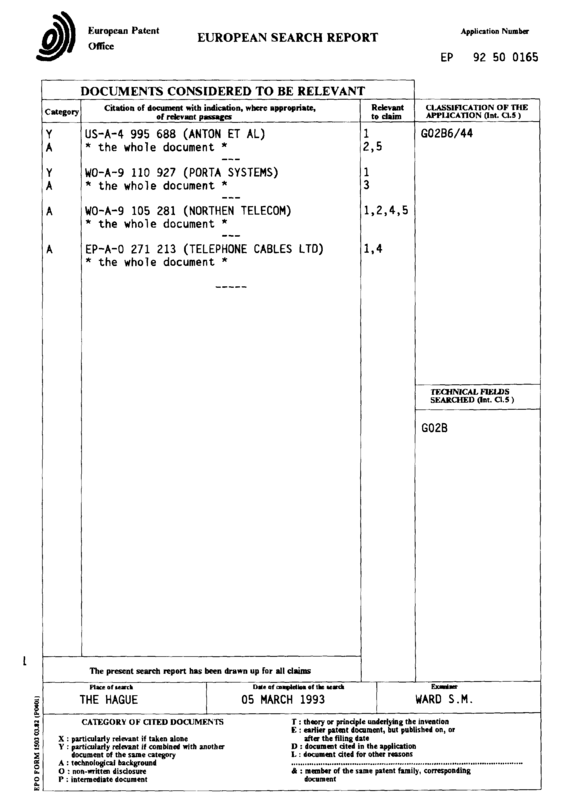 Modula Docs 2 of 5. (C) Copyright 1987,1988 Fitted Software Tools. AS TO PERFORMANCE OR MERCHANTABILITY. changes in product specifications and/or availability without notice. Thank you for your interest in our Modula-2 compiler. The compiler generates code for the Intel 8086 "huge" or "large"
memory models are not currently supported. We hope that our effort will prove itself worthy of your support. monochrome display adapter, color graphics adapter or equivalent. A hard disk and 640K of RAM are, however, recommended. This system requires DOS version 2.0 or later. This is, in a nutshell, what is new in release 2.0.
also added to the editor, as well as 43 or 50 line display support. convert floating point numbers to fixed decimal notation! pointer passed to it to NIL. out of range, regardless of which way you are going. unnavailability of resources (time, mostly!). we introduced a little over a year ago. description of every file in the distribution disks. requires that the ANSI.SYS driver be installed. entry matches that of the DOS PATH). idea to, on request, preserve the resident portion of COMMAND.COM. and press the F3 key, DOS will still remember your MC command. last command (COMMAND.COM had to be reloaded). you will be using only one of the memory models. This whole system is too large to fit in a single 360k floppy. definition modules (*.DEF), the file M2ED.CFG and DOS' COMMAND.COM. object files (*.M2O and *.BIN). after invoking the linker from the compiler's menu. You may keep your projects in their own, individual, directories. your work disk or directory. following examples we will assume the worst possible scenario. From the compiler menu, select 'C' for compile. The cursor is now positioned at the location of the first error. we will just ignore those errors and go on. offending character; now, type the ']' in its place. And that is that. Shall we try to compile the program again? the main menu, select 'C'. BADSIEV1.MOD, which contains the earlier fixes. key, please replace 'cnt' by 'count'. The next error occured during the processing of the call to WriteCard. insert a comma after 'count' and some number (for example 'count,4'). We may now quit the compiler (q). compiler always writes its output to a file with the extension 'M2O'. by the compiler to the object file will be preserved by the linker. We will need this information later. lines of the file, we have the line number information for BADSIEVE. line indicated by your research, or let the editor find it with Alt-G.
increment 'j' up to the value of 10000). Recompile the program, link it, and run it. Did it work? Good. forces the compilation process to be done in at least two passes. The second pass performs the semantic analysis and code generation. list or if 20 errors are identified). the compiler menu -- G). that standard OBJ files are to be generated instead. without an extension, the same name is also used for mainModule. The '/e' option will send you straight into the editor. file mainModule.MAK for the dependencies list. and the use of '/d-' will not do it. was successful (no errors); otherwise, the DOS errorlevel is set to 1. Program Specify the name of the main program module. New Specify another "Work module". Options To select the memory model to use. should type EXIT to return to this system. Compile Compile the "Work module". Edit Edit the "Work module". name in Program -- and '/OBJ', if appropriate. fixing the errors, select Make again. arguments the name in Program and '/L'. used, the name of the makefile to process. against the same version of that definition module. created instead, if the environment variable M2OUTPUT so specifies. such a way that its date is not preserved. files, you are not protected by this module version checking. pops the directive's value prior to the last '+' or '-'. compilers involved in the comparison. products do not generate runtime error checking by default. limit set for the size of any identifier. assigned its own data segment, which can be up to 64k in size. module's global variables and some of the module's constants. - The maximum size of a data structure is 65532 bytes. string, real and long constants used in the compilation module. - Integer and Cardinal arithmetic overflow is not detected. - ASM is a reserved word in this implementation. This compiler implements the standard types LONGINT and LONGCARD. just like INTEGER or CARDINAL. But that is about it! Subranges of these types are not supported. this document will accept operands of one of these types. variable in a FOR loop. Neither can CASE labels be of a LONG type. The standard type LONGREAL is implemented. The rules for the use of LONGREALs are the same as for REALs. INTEGER, CARDINAL or REAL, respectively. the TRUNC and FLOAT procedures. Takes 1 byte of storage. Only assignment is defined for this type. corresponding actual parameter may be of any type. provided for that purpose: FLAT and PTR. ADR( designator ) Returns the address of designator (type ADDRESS). FLAT( ADDRESS ) returns a LONGCARD "flat" address. activated until a TRANSFER to p1 is done. identified; it is, therefore, okay for p1 and p2 to be the same. at, at the time of suspension. comes in through interrupt vector intVector. process that was running when the interrupt occured. All the mnemonics and register names must be entered in upper case. would generate a move from register AX to variable AX. is the correct way of storing TRUE in done. INTEGER, CARDINAL, BOOLEAN, CHAR and enumeration constants. conditional jump over a far jump to the original destination. assembler. There are some restrictions, however. therefore, load or store a value in temporary real or decimal format. the 8087 stack, using ST(1) as the destination and removing ST.
leaving the result in ST(1) and removing ST.
other than ST, except in the "and pop" versions of the instructions. also the first operand of the instruction. case the register specified in the instruction "gets the result". of the instruction, even when the "and pop" form is used. REAL 4 bytes Intel 8087 format. LONGREAL 8 bytes Intel 8087 format. BITSET 1 word. 0 is low order bit, 15 is high order bit. Currently, the compiler generates code using the "large" or "huge"
In the "large" memory model, each module has its own code segment. The entire program has one data segment. remainning memory is available for the heap. Label names on the left are the ones exported by System. This system uses interrupt vector 192 (0C0H) at location 0000:0300.
of the "large" memory model. Procedure parameters are pushed into the stack 1st argument first. actual parameter is copied into the stack. portion of the address and then the offset part). value first, and then the address, as above). actual parameter is copied into the stack on procedure entry. same time allowing for full reentrancy of the code generated. from 0 (highest priority) to 7 (lowest). value for "no priority" should be for your particular application. priority module is usually not what you want to do! of some form of a TRANSFER. example of how to use priorities with this system. The only factor to consider is when using inline assembler. you use the LARGE or the HUGE memory model. environment variable M2OUPUT to OBJ. shell) and use some OBJ file linker. required to link your program. to edit the file created by GenLink to make it suitable. where the 'C' or 'PASCAL' qualifier is optional. identifiers are encoded in the object files as you enter them. allocated space and properly initialized in the foreign module. the case of regular Modula-2 modules. not. The exception is when you use '...'. (their address, instead of their value, is pushed onto the stack). to interface Modula-2 to C. But is it, really? Not quite! are a basis on which many other library modules depend. or move text from window to window. was the overriding factor here. file M2ED.CFG in the current PATH. use for the Status line, for Normal text and for Marked text blocks. be expanded to spaces by the editor. where 'myprog' is the main module of the program you are creating. paragraphs). The default is all the free memory. use by other utilities (see Map file generator, Profiler). modules were not compiled using the same definition module. When using OBJ files, you do not have the protection of Module keys. generate OBJ files instead of M2O files. MAKE invocation: see "Running the Compiler". sequence. Please keep this in mind if you should edit a makefile! This profiler is not that versatile, but it is useful nevertheless. as its proper usage, please refer to the .DEF files. your programs, as they will not link with the new library modules. M2Reals handles all the REAL and LONGREAL arithmetic and conversions. co-processor and uses it, if found. M2Longs handles LONGINT and LONGCARD arithmetic. M2Procs provides the coroutine support. This software package is distributed as Shareware. payment of a $29 (as of this writing) license fee per copy. form in the back of this document, along with your registration fee. one at a time (the "treat this software like a book" idea). fees to Fitted Software Tools. have a business -- or, at least, we will not have one for long! kind of support that they deserve and we can afford to provide. our users, the reason for this chapter. through BIX (conference 'fst'), or through our BBS, at 214/517-4629. so that you may go on with your work. We also make new product updates available for download off the BBS. this software unusable for your purposes. So, please!, fill out the survey form and send it in. What programming languages do you use regularly? What do you like the most about this system? What do you NOT like about this system? additional copies, and/or order updates. you order a registered copy or update is specifically prohibited. the rest as $29 registrations. $3.00 to help cover the additional shipping cost.